My 1250 Fleet was out for a move into a new cabinet. 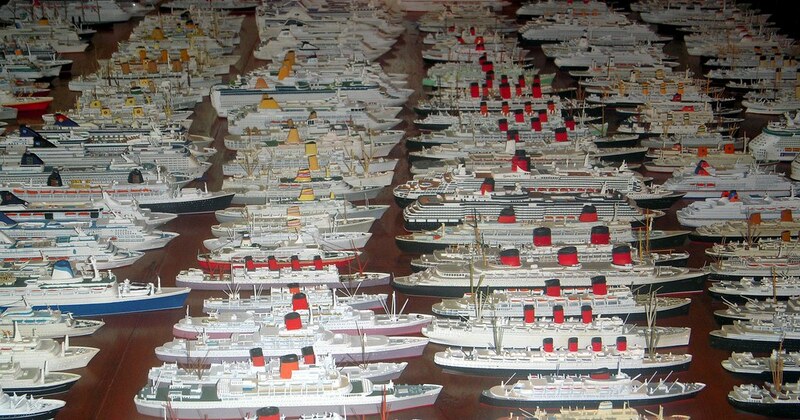 I figured I would take some pictures of the whole collection spread out..
Fight fine model boats but where one can buy these? Thaddeus.... what can I say....? Your line up and collection is astonishing! What an incredible line up! 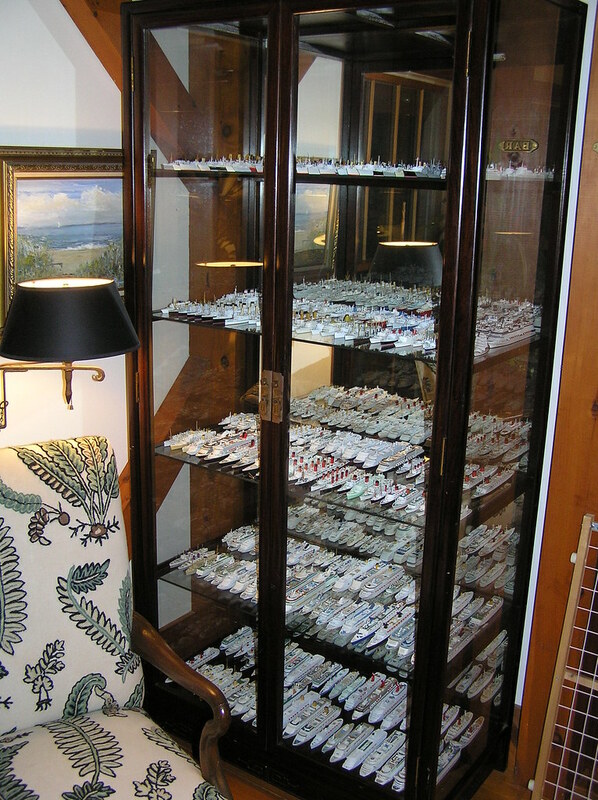 That is some kind collection! 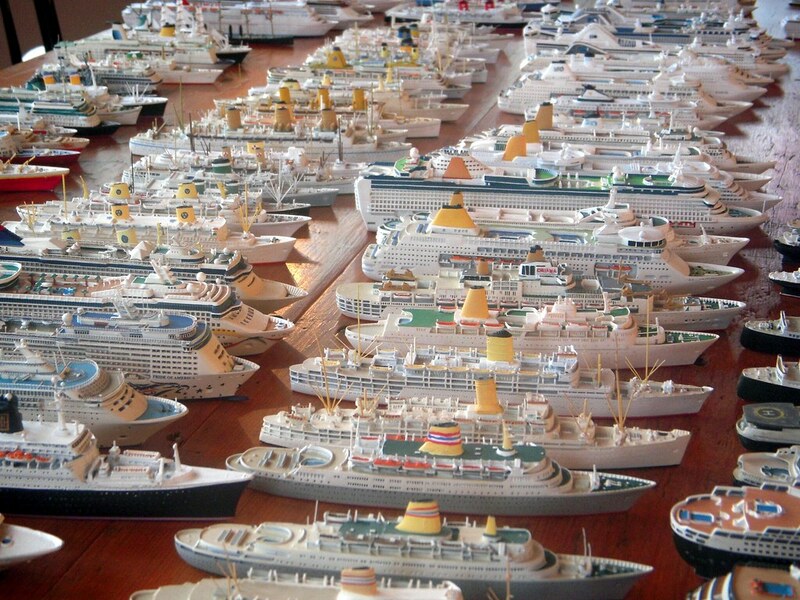 Congratulations on a fine gathering of the finest ships ever constructed! 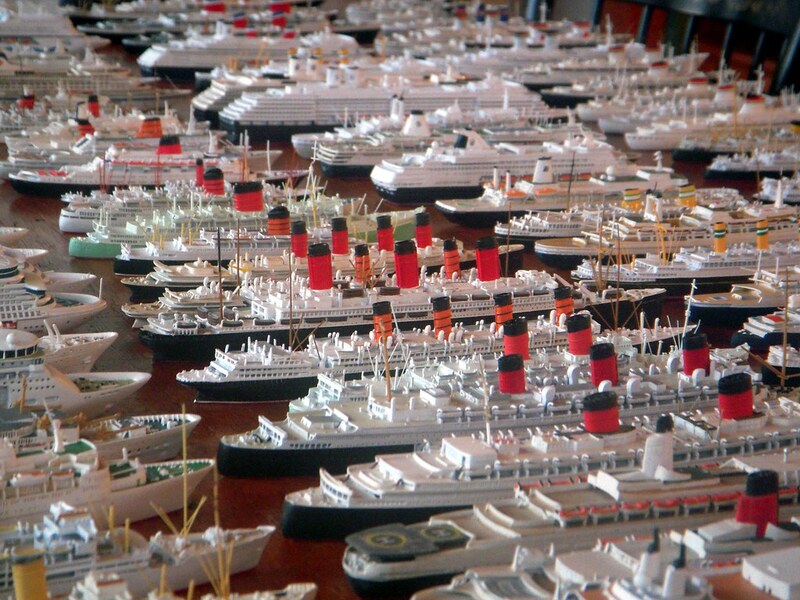 What a fantastic and comprehensive collection you have made Thaddeus! How many years did it take you to collect all of these? Quite a few i should imagine. A wonderful sight to see them all together. Note the QE2 model with the Falkland war helicopter landing platforms on the stern! Glad you all like them. I have been collecting for about 20 years, since I was a teenager, though I got more serious about it when I started to actually make a little money, and with the advent of both ebay and the internet in general. Most of the manufacturers, and many of the dealers are in Europe, so it was sometimes difficult to find the models you wanted. I think I have about 280 models now. 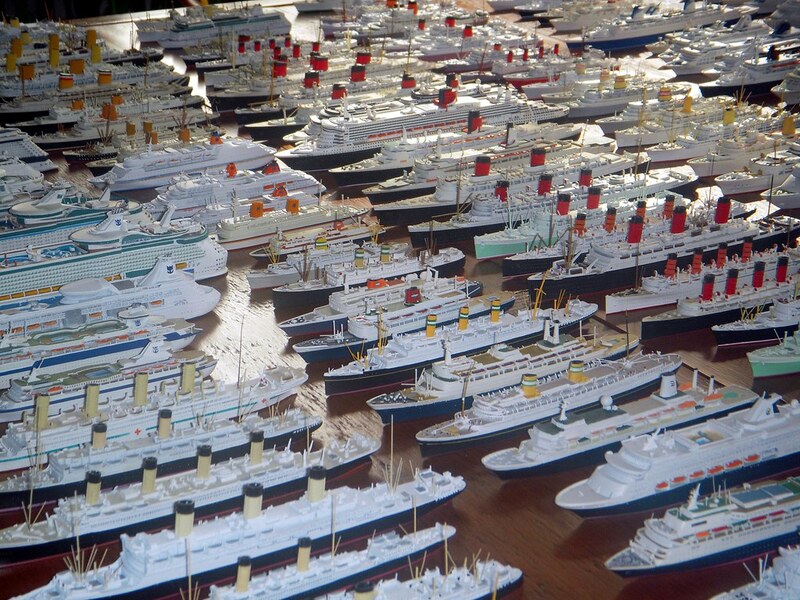 Almost all passenger ships, though the RY Britannia is in there as well as two American modern navy ships, for which my father help design the missle guidence systems. 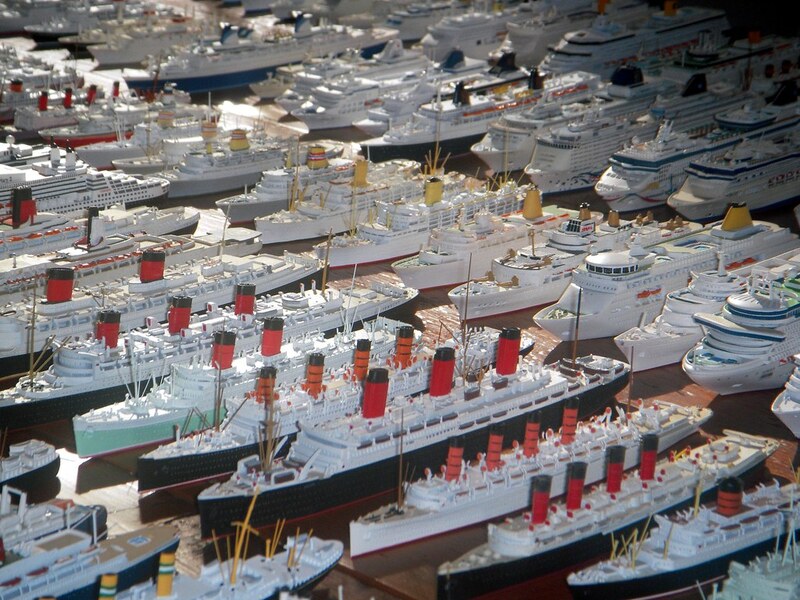 What an amazining collection of models - do you have one of the Oriana 1960 in her Orient Line corn coloured hull? 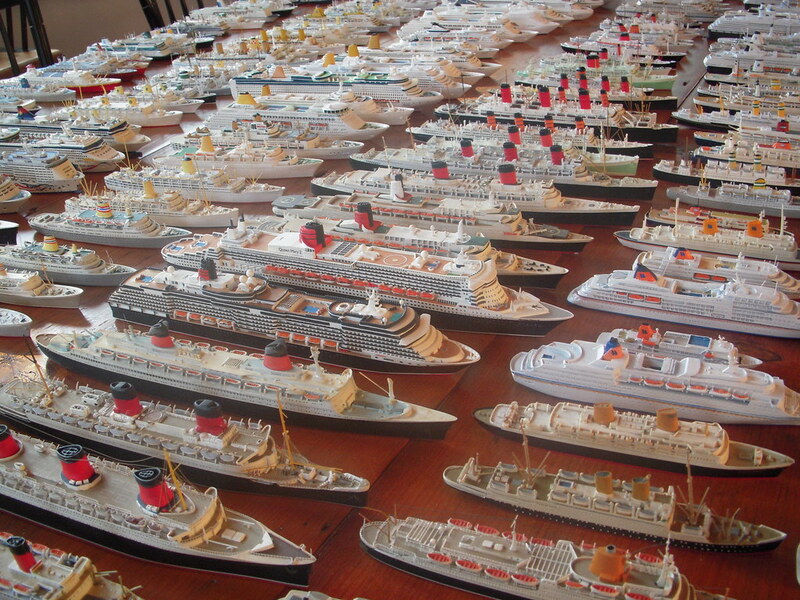 Also do you have one of the Orient Liner Orsova? 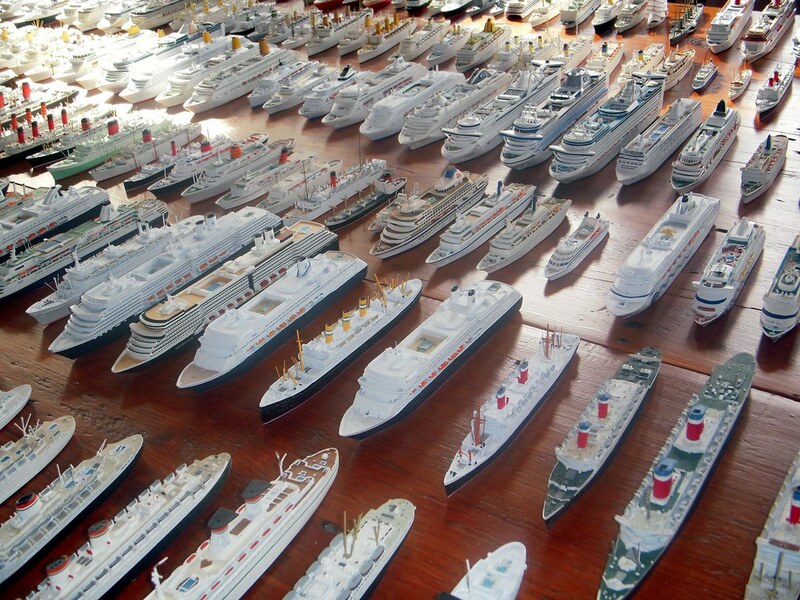 I do not have the Oriana in Orient livery, only P&O. I actually only have 2 Orient Line models. And one of the Orcades by CM. Orion - a lovely model and a very interesting ship as it represents the new era for the Orient Line in terms of interior layout and interior decoration. I hope you have these well insured - I imagine some of them are worth a couple of hundred dollars each. 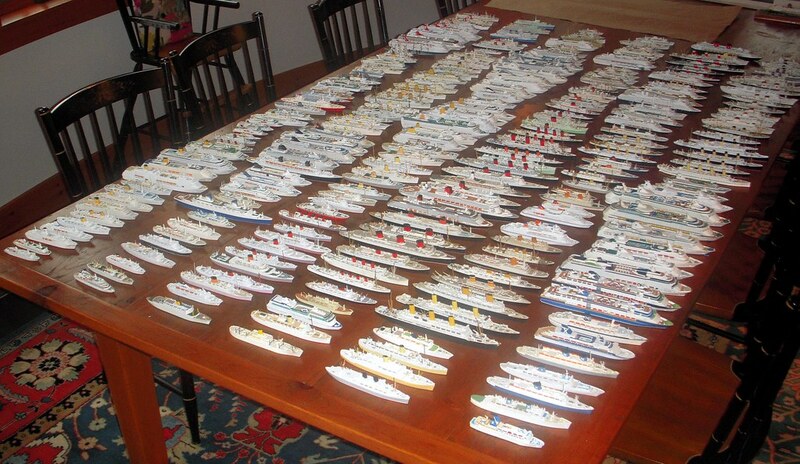 How many do you have all told and how long have you been collecting? Incredible collection. I can not wait to see them in the new cabinet. Your eyesight is amazing, Pak!!! The models are now home in a new display case that has more room for them, plus space for future acquisitions, with the addition of more shelves later..
Glad to see them back safely in their new home.